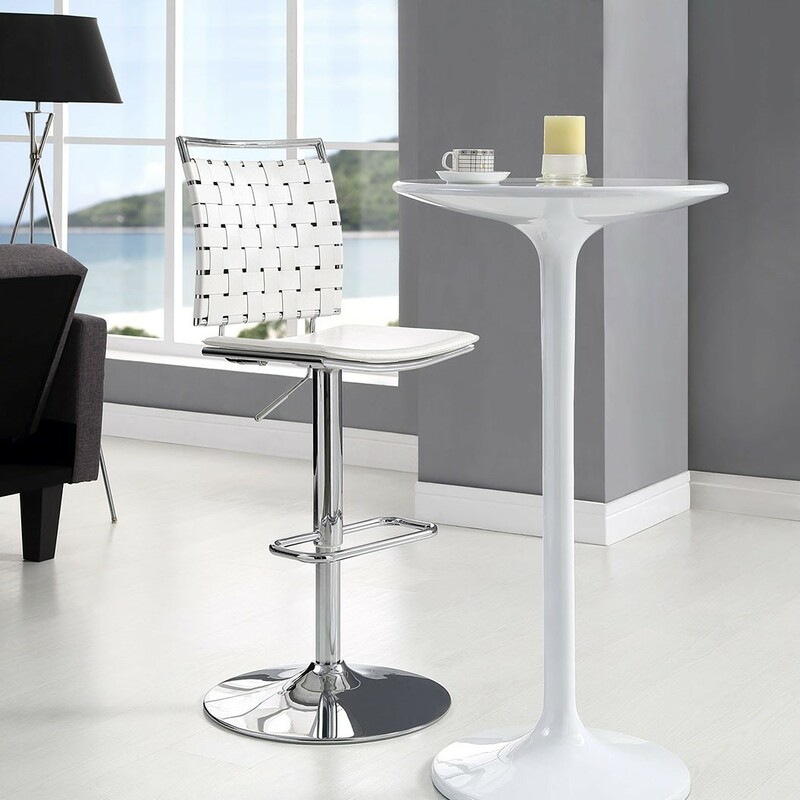 Fuse white bar stools constructed of PVC webbing cushioned seat in contemporary style. 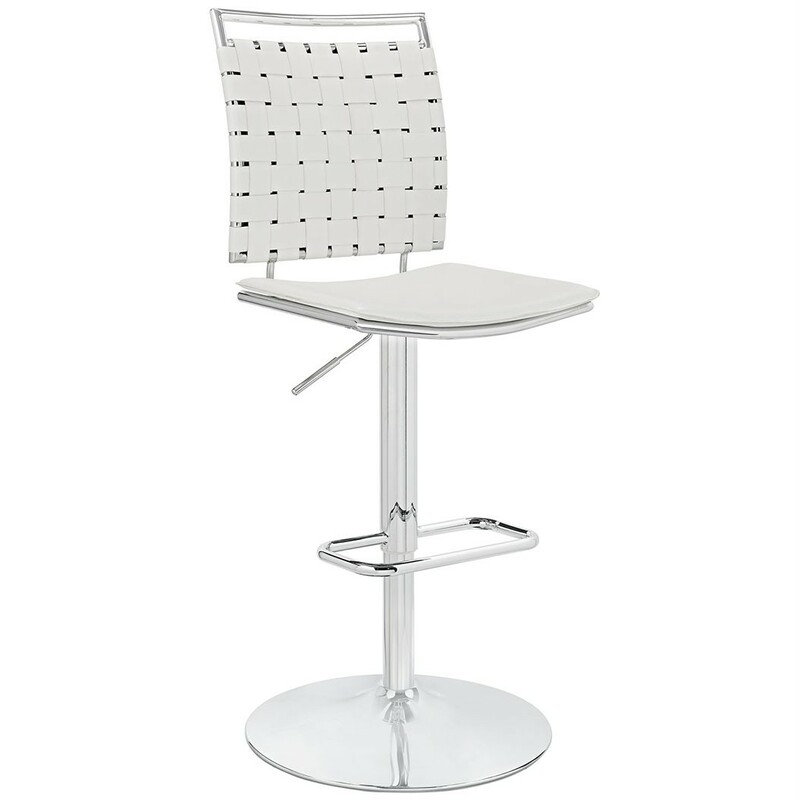 Below you will find chrome plated base and a footrest together producing the unique design. 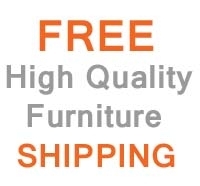 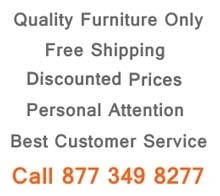 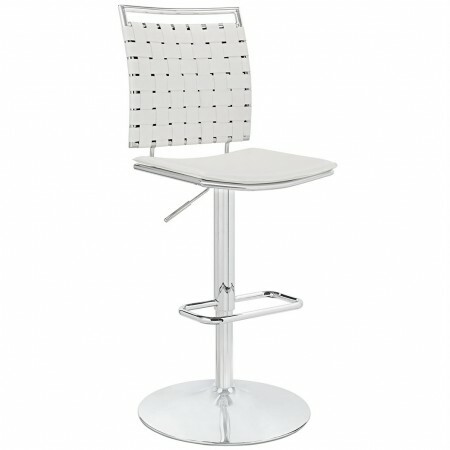 These adjustable height bar stools are durable enough to be used in home and and even a restaurant.